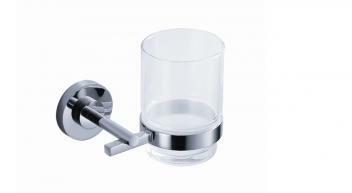 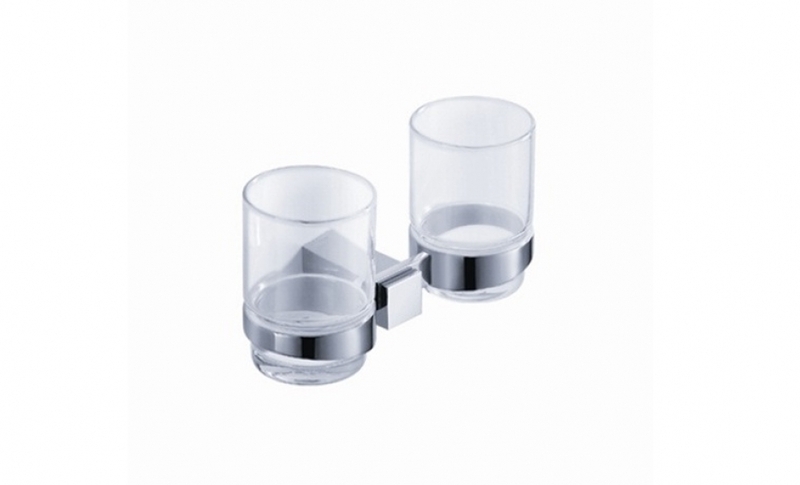 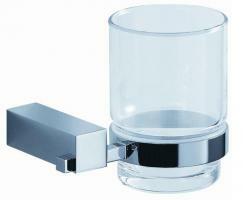 This modern styled piece elegantly holds two glass tumblers for convenience in the bathroom. 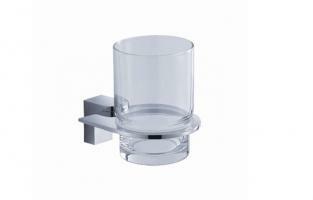 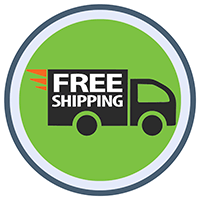 The simple wall mounted bracket will keep the glasses safe and out of the way of other things in the bathroom until ready for use. 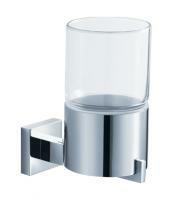 The chrome finish of the metal will go well with the decor in most bathrooms.